I bought this bike a few months ago and it has sat in my garage ever since. I am coming to realise I have no time for it with other hobbies so considering letting it go. 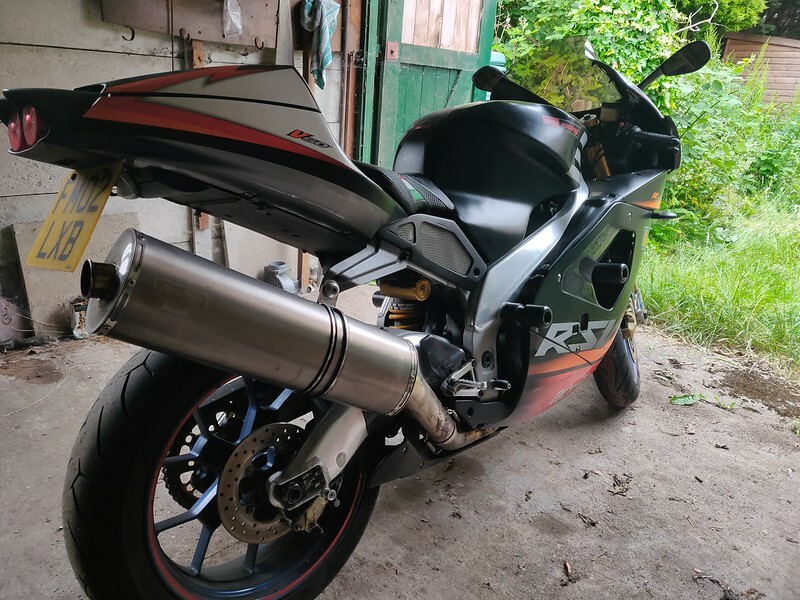 It is a 2002 RSVR on 19,000 miles, currently has no mot and would benefit from a little love such as carbon parts refinishing and replacing faded stickers on the front cone. I was also told the rear shock and steering damper requires attention but the front was done along with the main service last year (invoices included) and has done 500 miles since. The previous owner didn't say much about mods but I can see the TI can, brake levers, clip-ons, seat and mushrooms so possibly other items I have missed. Hi did you sell your bike?